There wasn't a whole lot of action today but the Russell 2000 did manage to make back yesterday's losses. 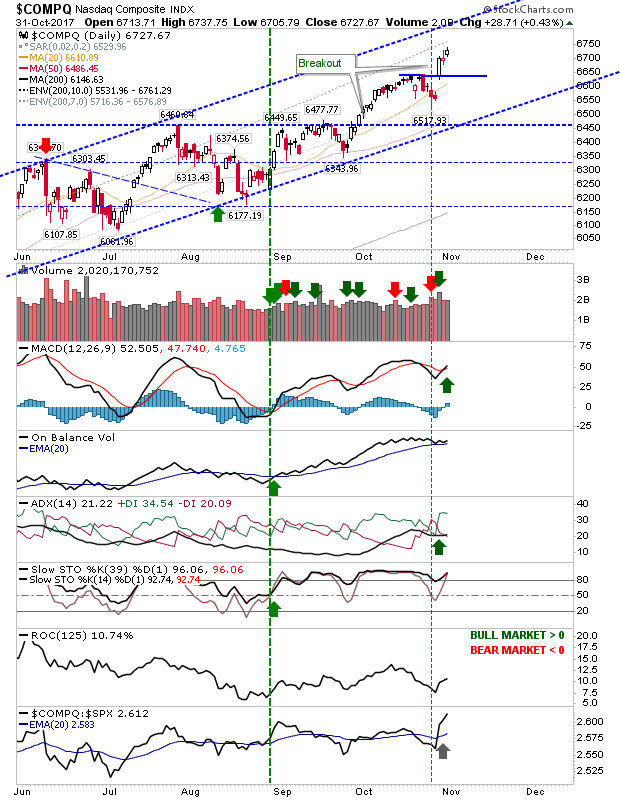 The 'bull flag' is still intact and today's buying didn't quite register as a resistance breakout but tomorrow may be the day for follow through. There wasn't a whole lot going on in the Nasdaq. 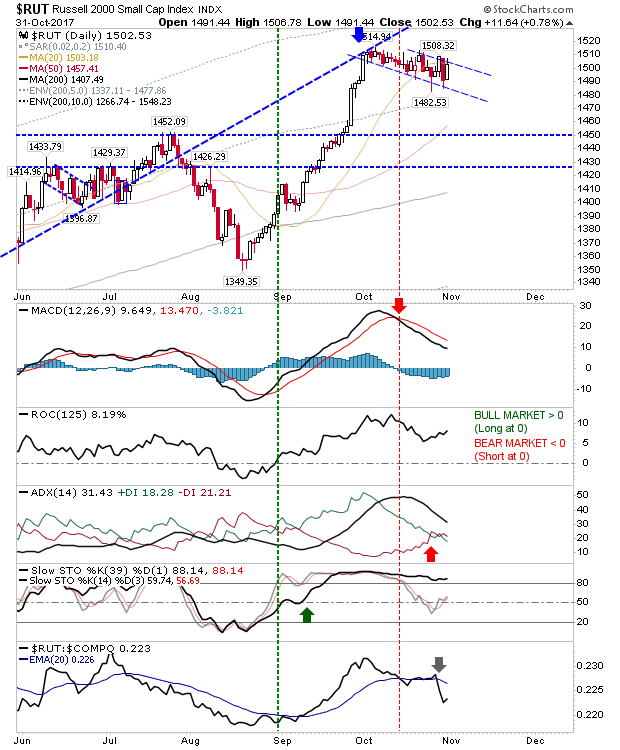 The index did manage low volume gains which came with a MACD trigger 'buy'. 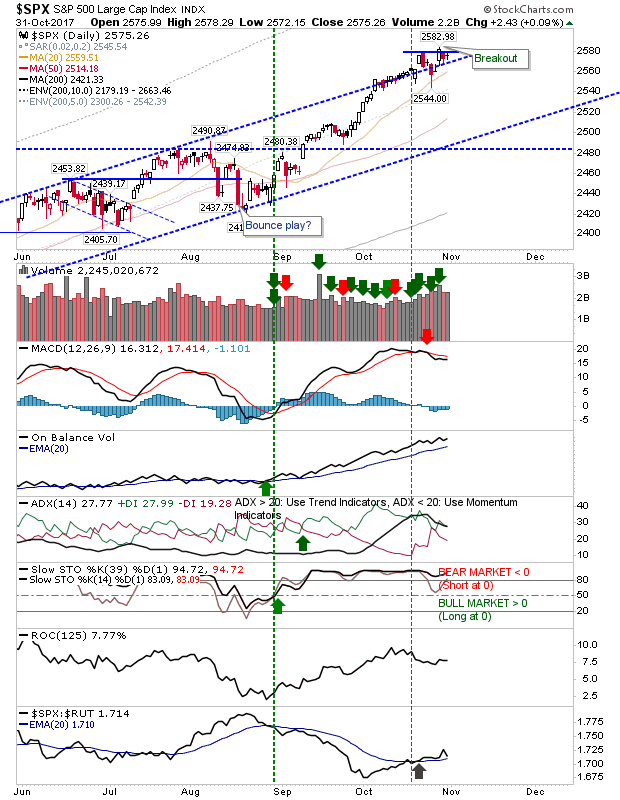 The upside target of the rising channel remains in play. 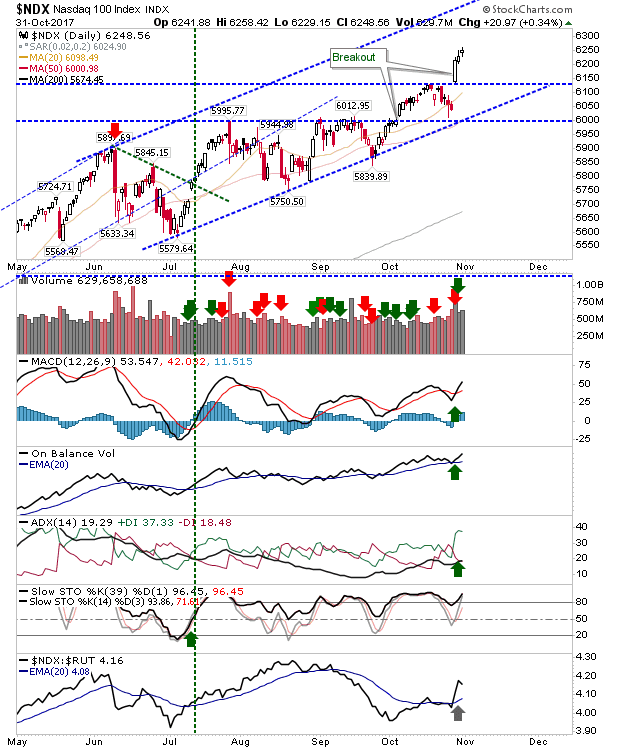 The Nasdaq 100 finished on a neutral doji slap bang in the middle of the rising channel. Nothing more to say on this index. Likewise, Large Caps did little today. For tomorrow, keep eyes on the Russell 2000. If it can break from the 'bull flag' it could set up a nice little run higher. Momentum players can keep an eye on the Nasdaq and Nasdaq 100 as it looks to expand on Friday's breakout.